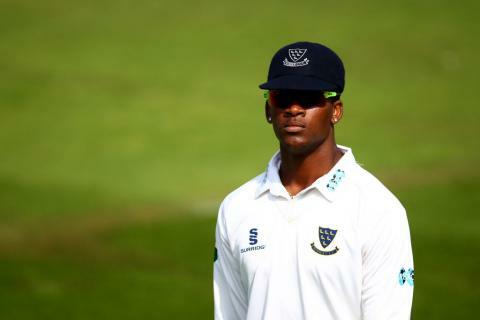 Delray Rawlins and his Sussex Seconds teammates defeated Kent Seconds in a Twenty20 Double Header at the Beckenham Cricket Club. In the first game Sussex Seconds won by 62 runs, Sussex Second batted first and scored 222/5 in their 20 overs, with LJ Evans the top scorer with 97 not out, while Rawlins scored 54 off 30 deliveries hitting 7 sixes in his 32 minute stay at the crease. In reply Kent Seconds could only manage 160/9, Mosun Hussain was the top scorer with 46, while JC Archer was the pick of the Sussex Seconds bowers with figures of 4-1-17-3, Rawlins bowled 2-+0-23-0, but he did hold onto a catch. In Game Two Sussex Seconds would record a 7 wicket victory. Kent Seconds would score 175/5, WRS Gidman was their top scorer with 54, JC Archer was the pick of the Sussex bowlers, while Rawlins bowled 1-0-12-0, but he did hold onto a catch. In reply Sussex Seconds would score 178/3, LJ Wright was the top scorer with 86, Rawlins did not bat.